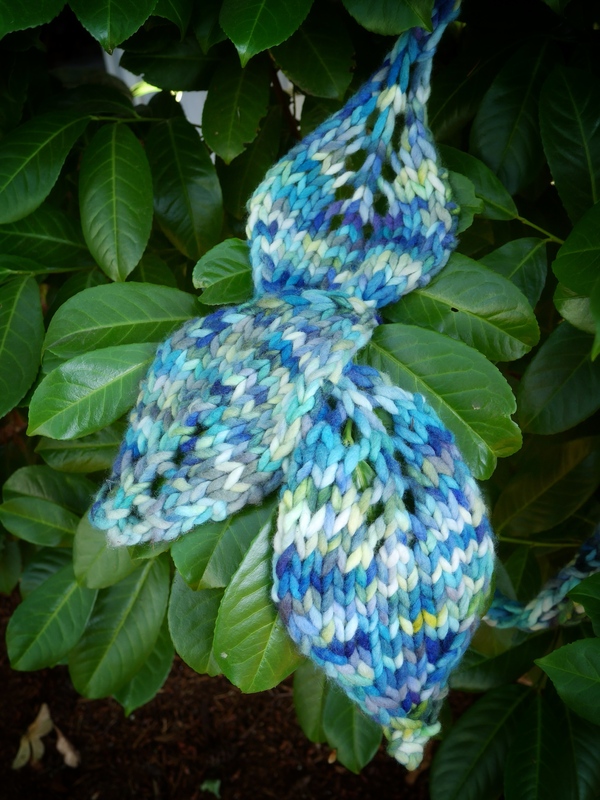 The Big Leaf Scarf is a series of leaves, knit end to end with super bulky yarn on large needles. 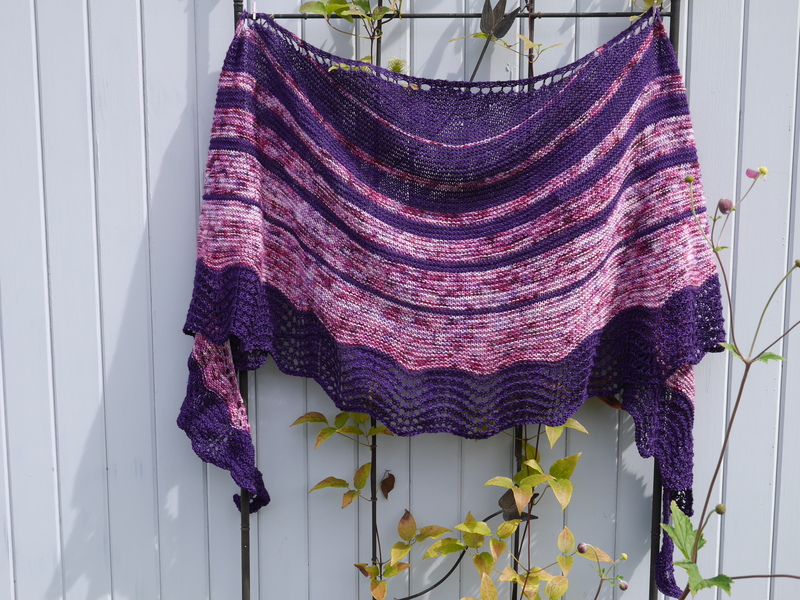 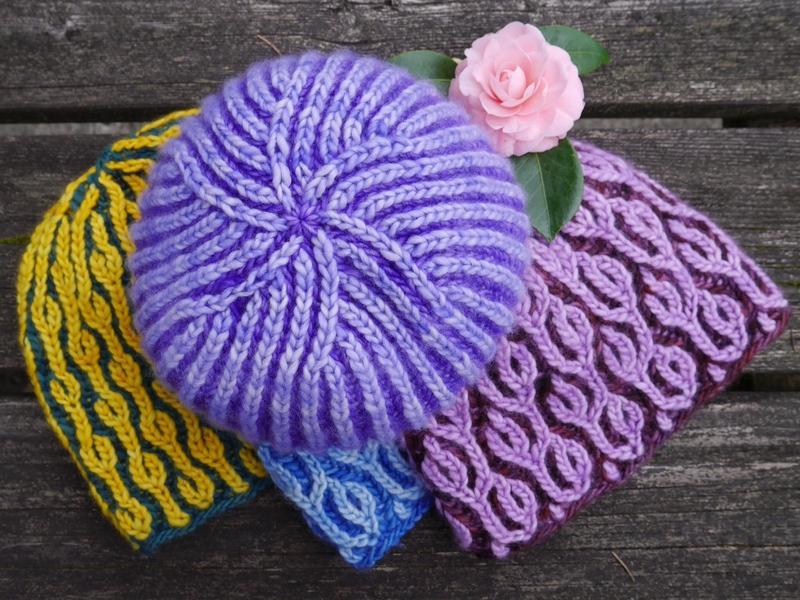 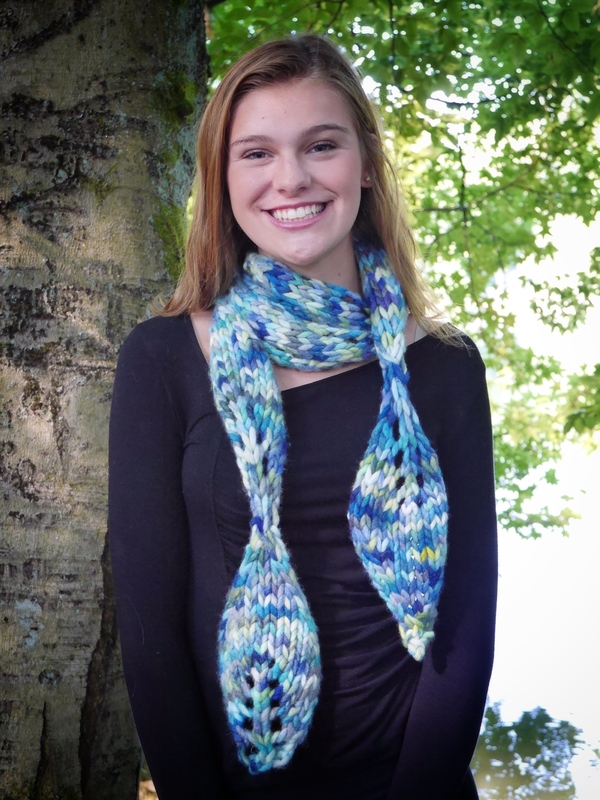 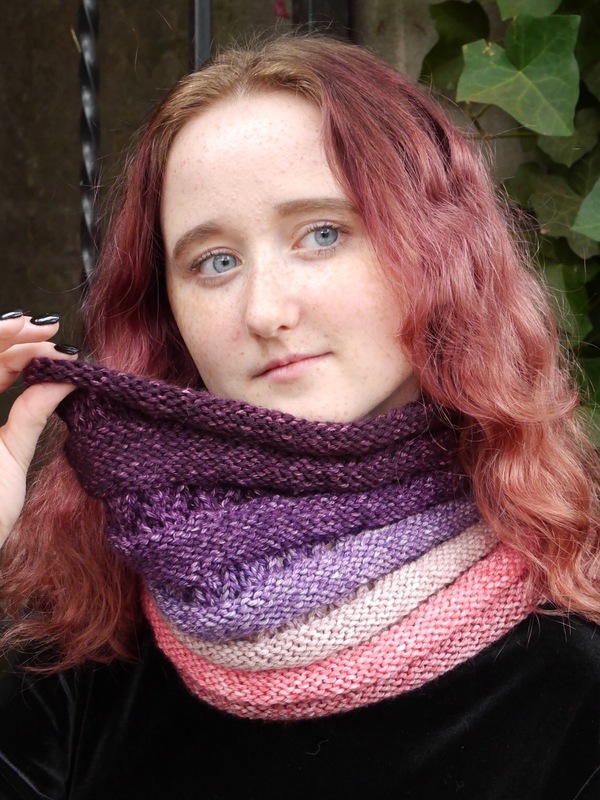 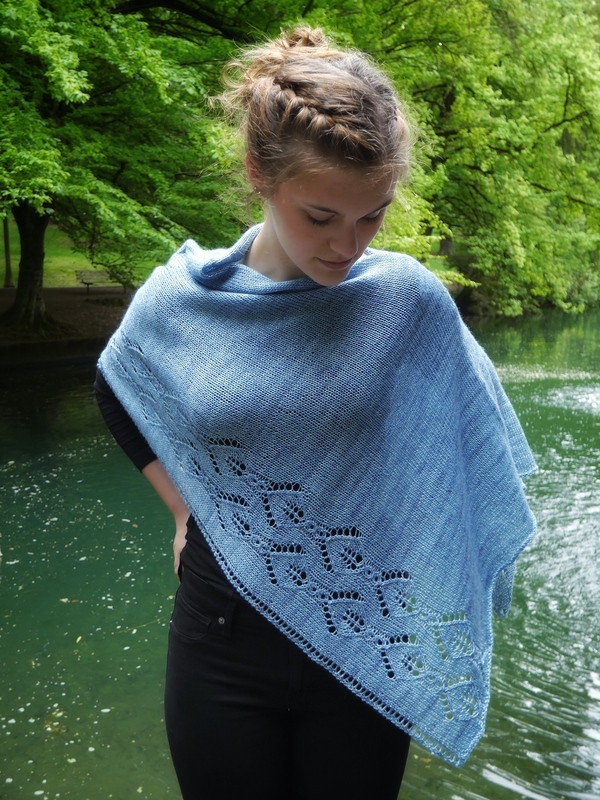 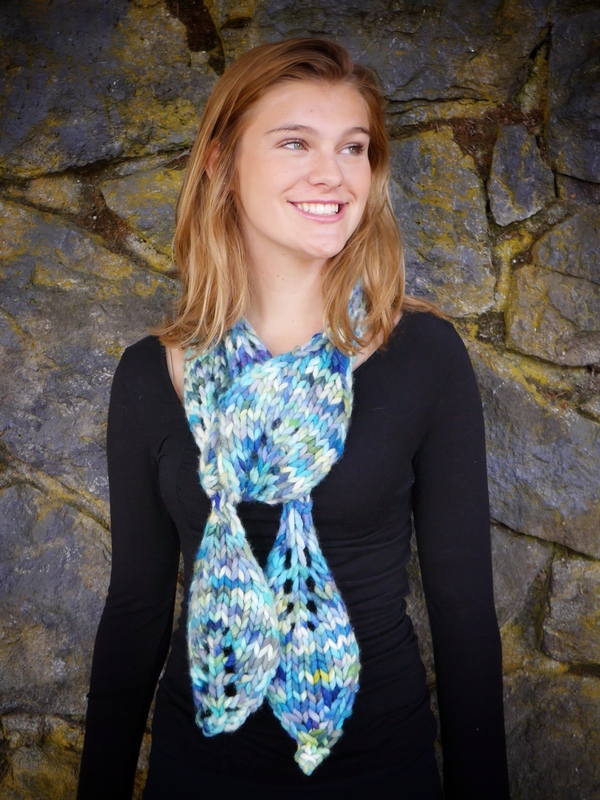 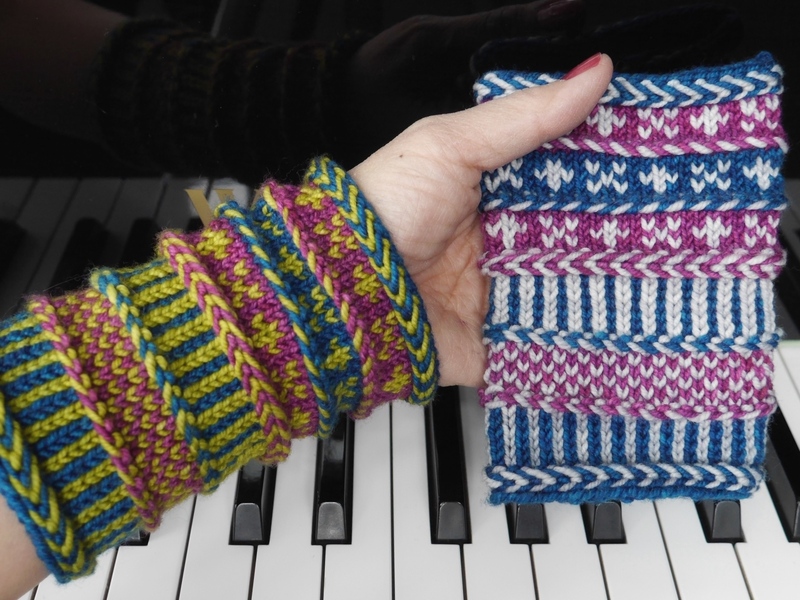 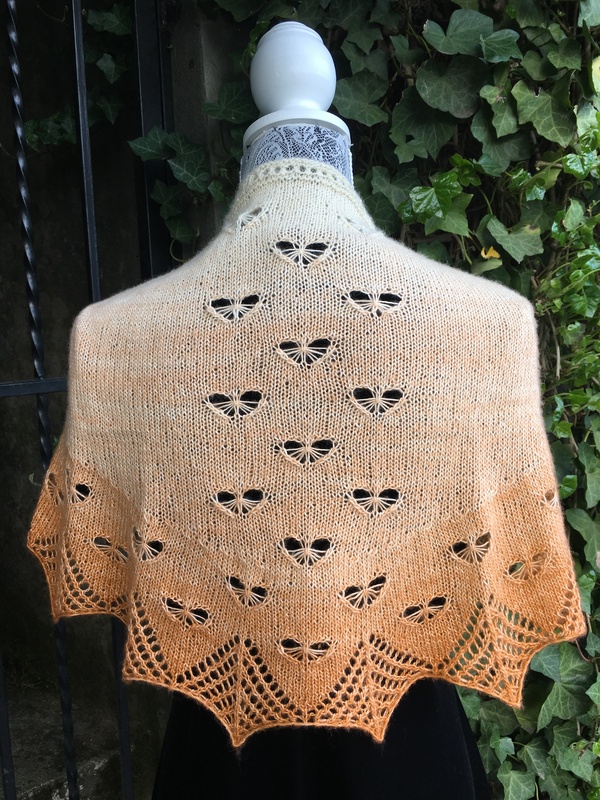 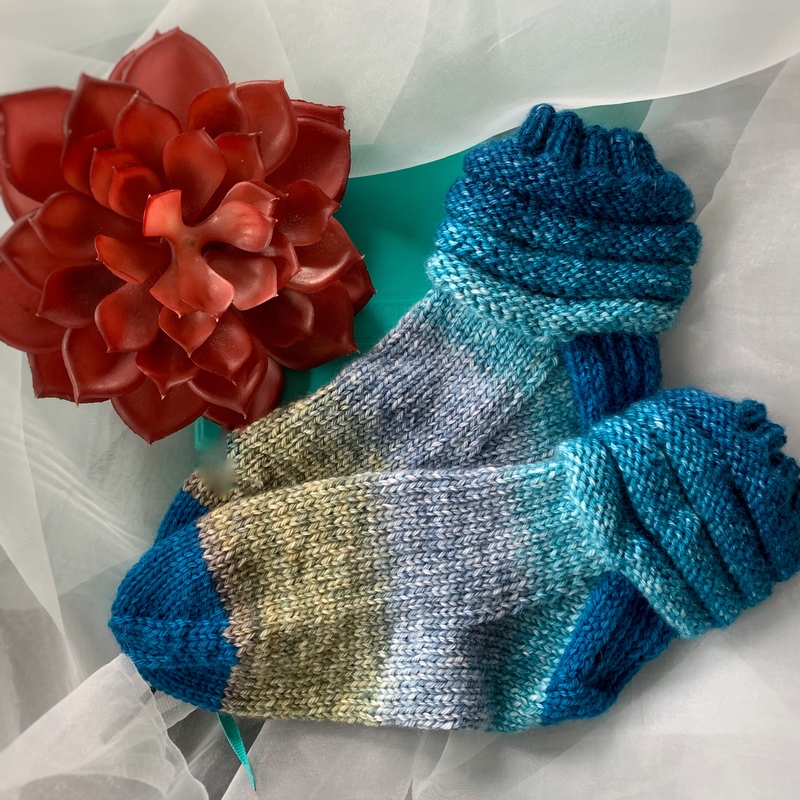 It is a perfect quick project that is sure to bring a smile to the knitter *and* the wearer, even if they are one and the same. 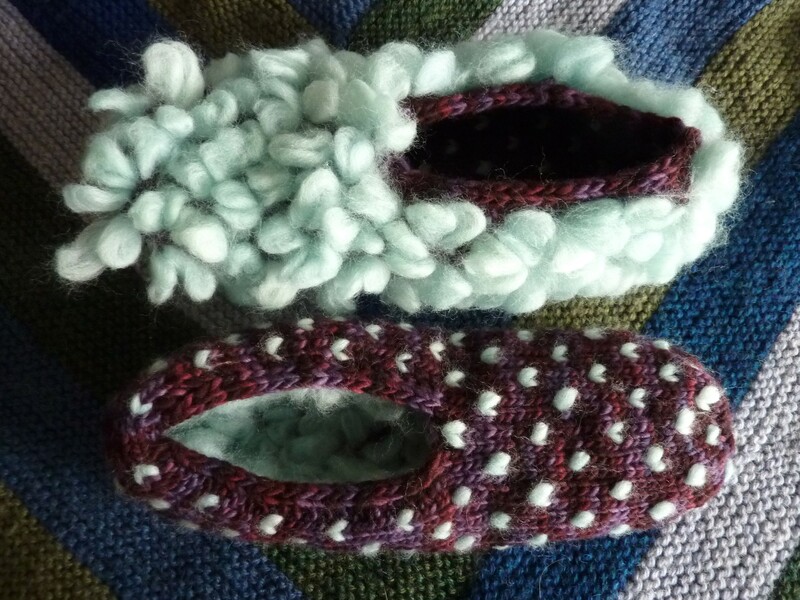 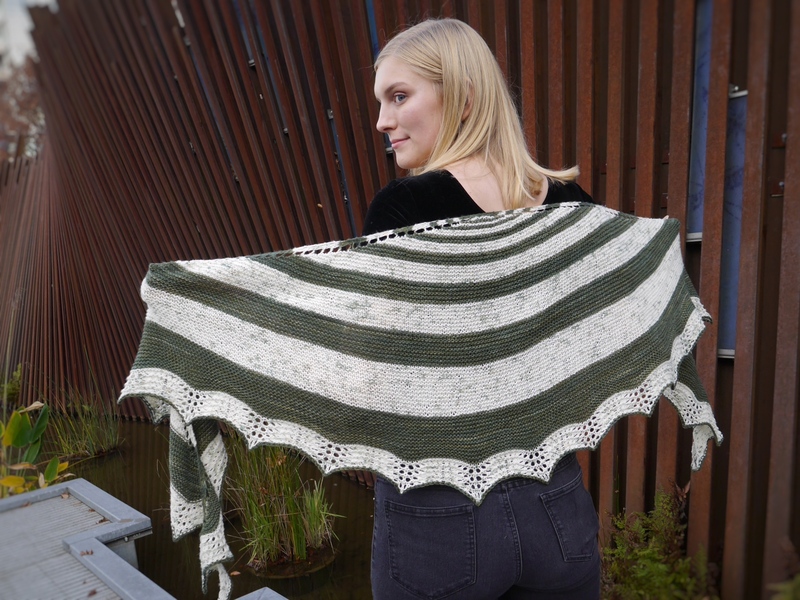 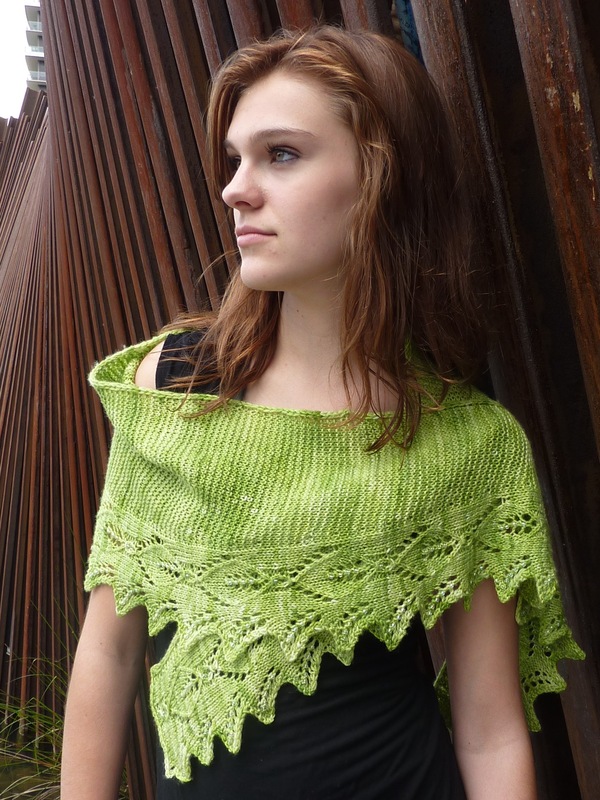 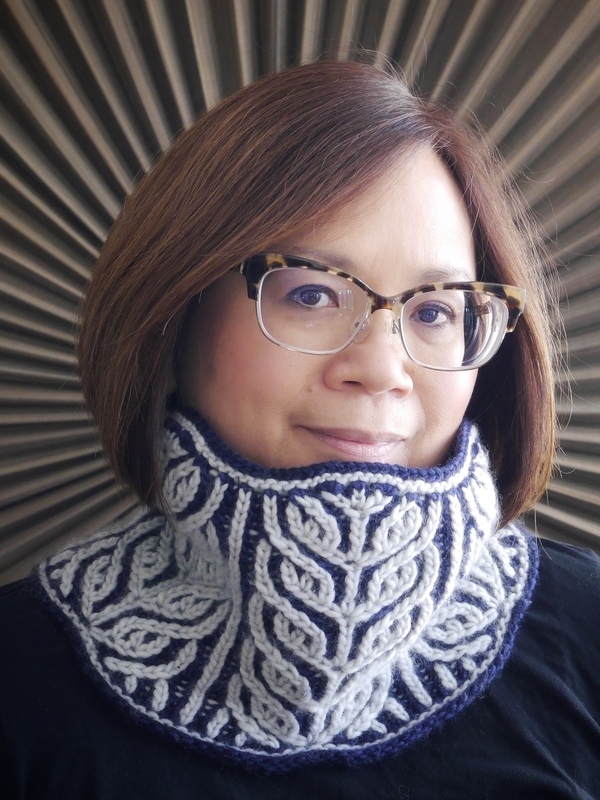 The length is easily customizable; knit as many leaves as you wish! 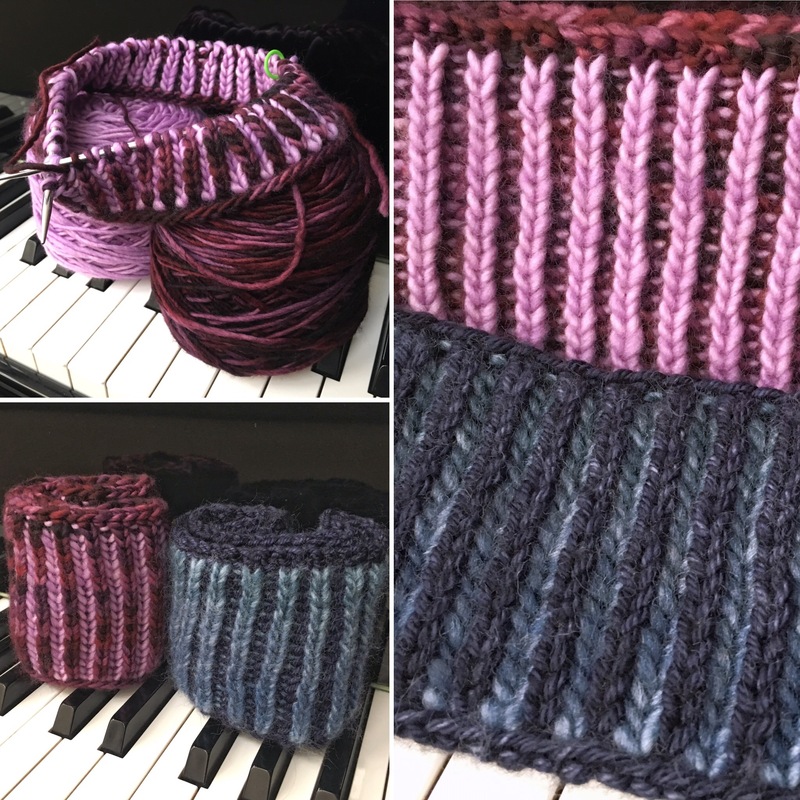 Use any super bulky yarn you wish; I am delighted with this Knitted Wit Cotton Candy (100% merino wool, 250g/140 yards/skein) in Sea Glass. 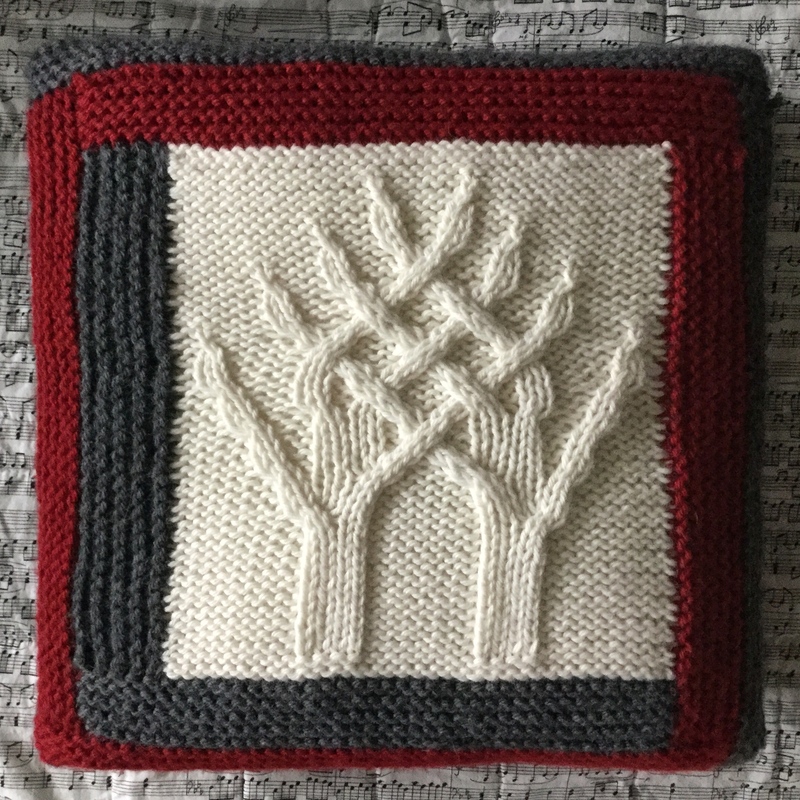 Charts and line by line instructions are given. 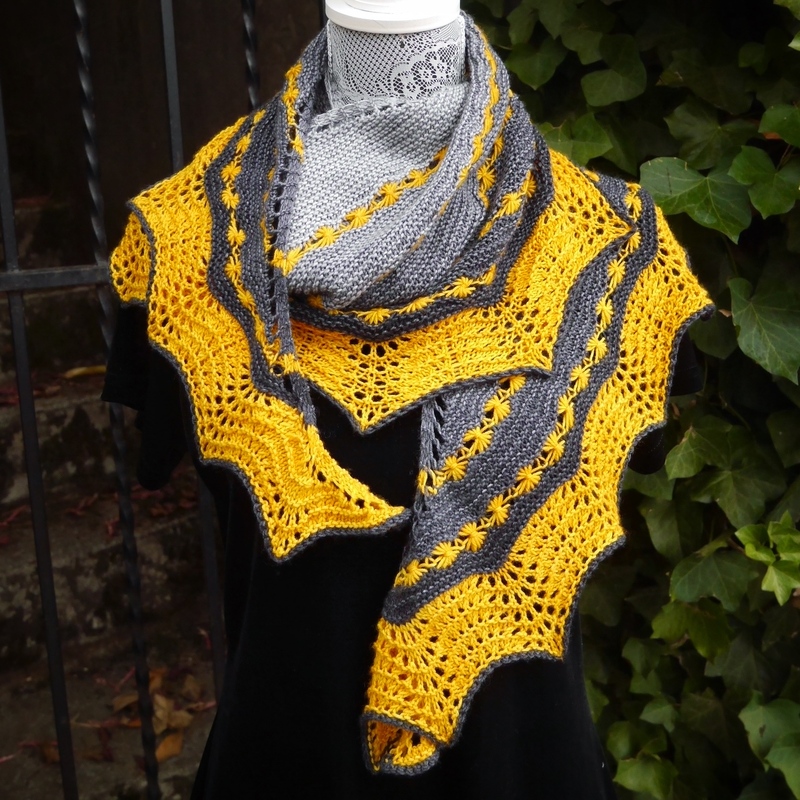 Gauge is 7.5 st/4 inches in stockinette stitch on size 17 needles, but gauge is not critical. 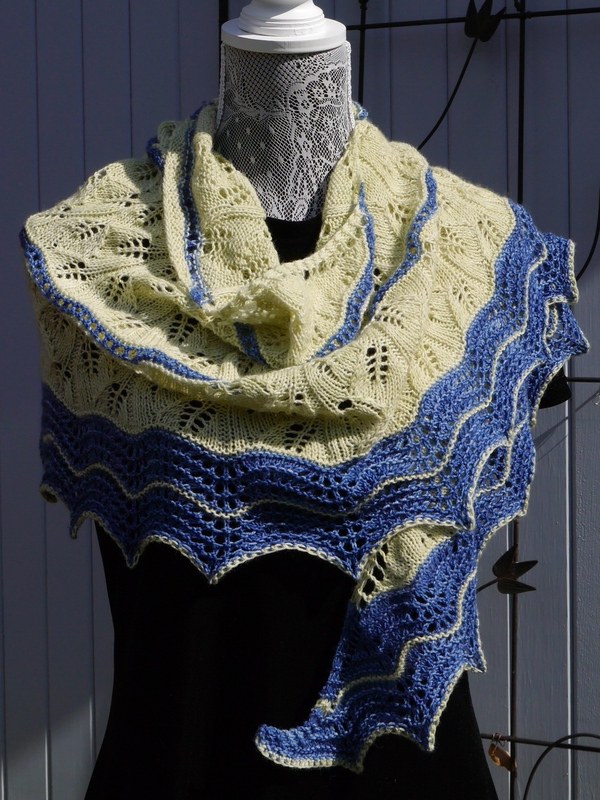 This pattern is available for download through Ravelry.